When a photographer learns of her father's death, she returns to the Orthodox Jewish community where she was raised to pay her respects. Once there, old feelings for a former lover are rekindled even though her former lover is married to her father's successor as Rabbi of their synagogue. 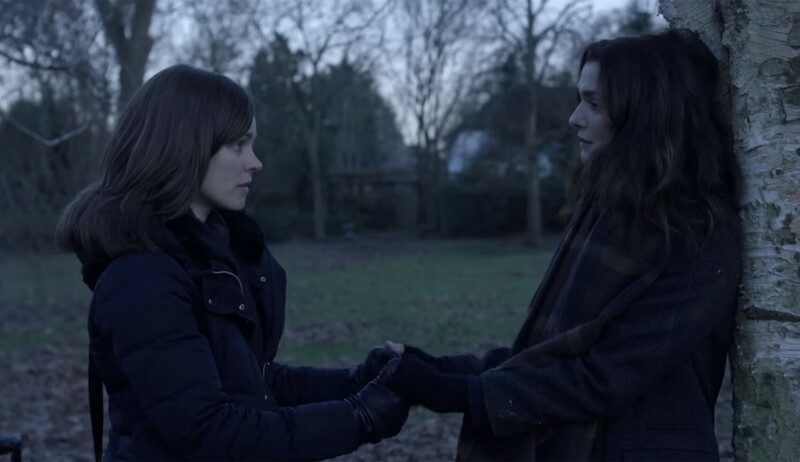 Rebellion and oppression in the Orthodox Jewish community are the themes of Sebastián Lelio's latest film "Disobedience." Lelio has directed movies like "Gloria" and "Year of the Tiger," but is probably best known for his 2017 Oscar-winning best foreign language film "A Fantastic Woman." He also helped write the script along with Rebecca Lenkiewicz, whose last screenplay was the movie "Ida," another best foreign language Oscar winner. The movie is based on a novel of the same name by Naomi Alderman and tells the story of two women who used to be lovers. Ronit (Rachel Weisz) is a rebellious photographer living in New York who was raised in an Orthodox Jewish community in England. Her father was a well-respected member of the Jewish community but has recently passed away. Esti is the wife of the man who is said to be the successor of Ronit's father. She is also a lesbian who was once in love with Ronit but has since repressed those feelings to follow her religion. When Ronit returns home to pay respect to her deceased father, those old emotions are rekindled, which puts Esti in a predicament as she is torn between being obedient to her faith and going after what she truly wants so she can be her true self. The themes explored at the core of "Disobedience" are interesting ones. We don't exactly see a lot of movies about the Orthodox Jewish community, and we certainly don't ever see films about homosexuality in the Orthodox Jewish community. The film opens with Ronit's father giving a religious service about angels and beasts and the choices people face day to day. Can true love win when faith is at stake? The acting in this movie is good, though we weren't entirely convinced by the chemistry between McAdams and Weisz. Their performances are nuanced and quietly powerful at times. There is a lot about this movie that should be respected. That being said, the pacing is downright horrendous. It is a tiresome slog to get through no matter how noble its intentions. Some critics may say that this story takes its time and is very methodical or deliberate in its pacing. We say NO WAY. There is no way it should be this slow-paced. There is little positive to be said about making a cinematic substitute for Ambien. While sitting in the theater, we had to fight the urge not to fidget with anything around us and had to combat our undying urge to check the time to see how much longer this movie had left to trudge on. For the most part, the dialogue isn't all that deep. There are fleeting moments of intrigue where it looks like the story is finally going to start to pick up before it slows back down to a crawl. 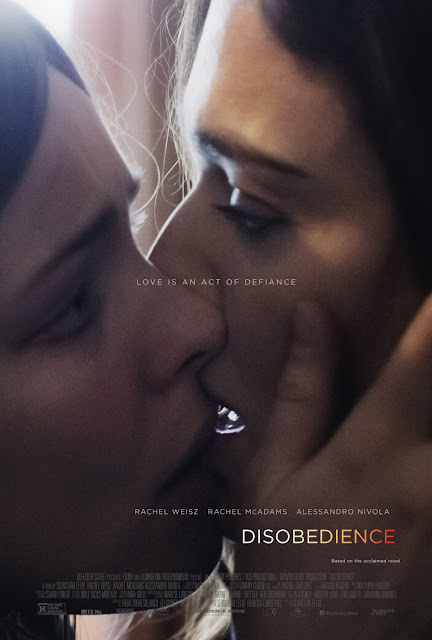 We also believe "Disobedience" is meant to explore the aforementioned subject of homosexuality in the Orthodox Jewish community, though we seldom feel the oppression being placed on Esti. We never feel any conflict because the story doesn't dive deep enough into the issues. 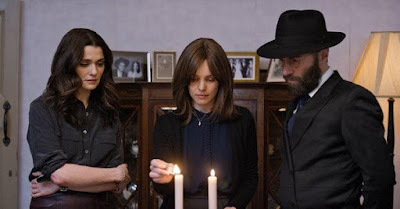 In the end, "Disobedience" is a mixed bag for us. Despite some great acting and a couple brief moments of intrigue, we left the theater wishing we had gotten more from this project.